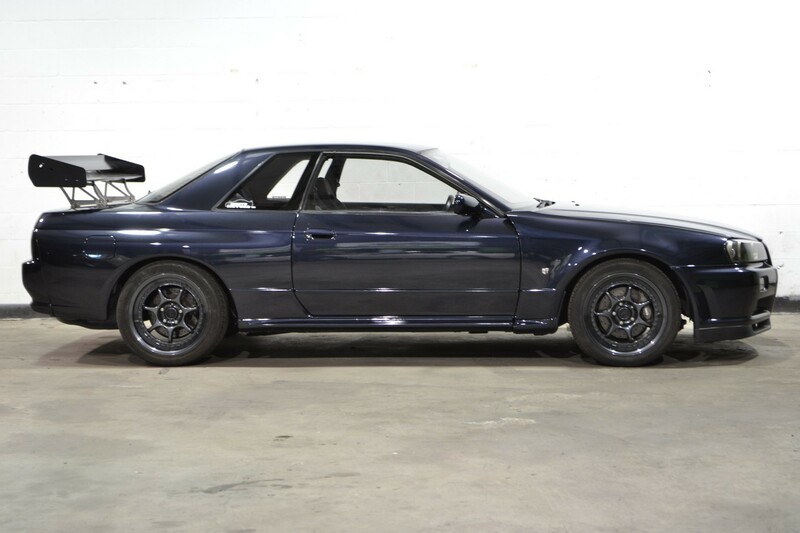 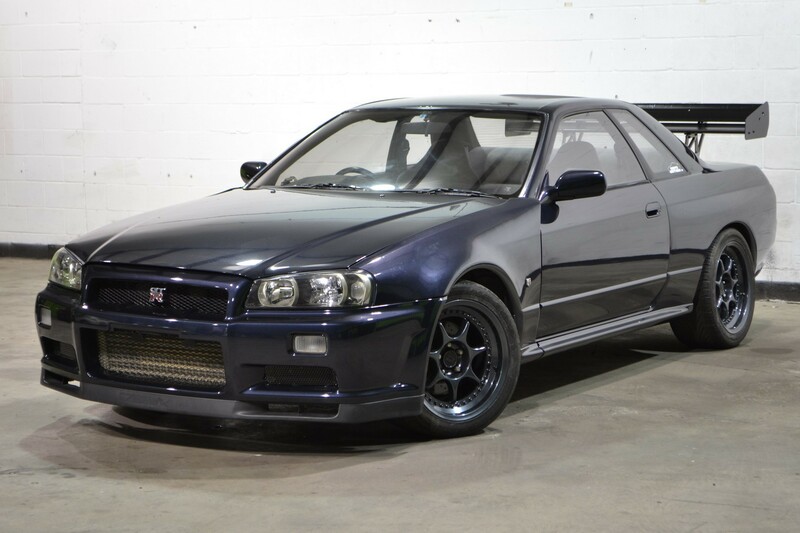 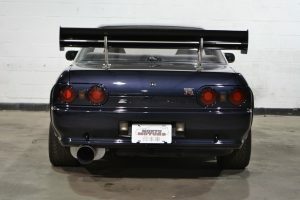 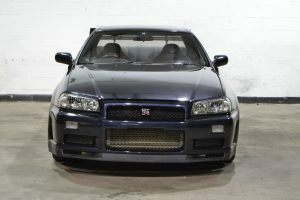 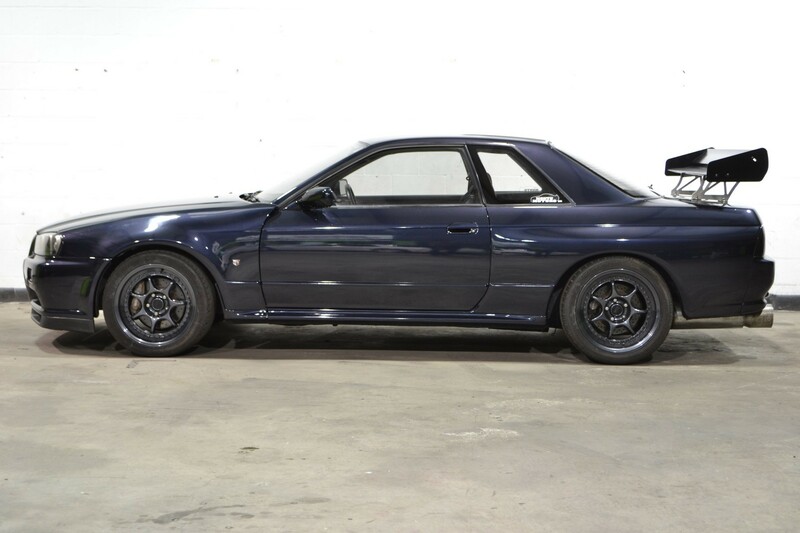 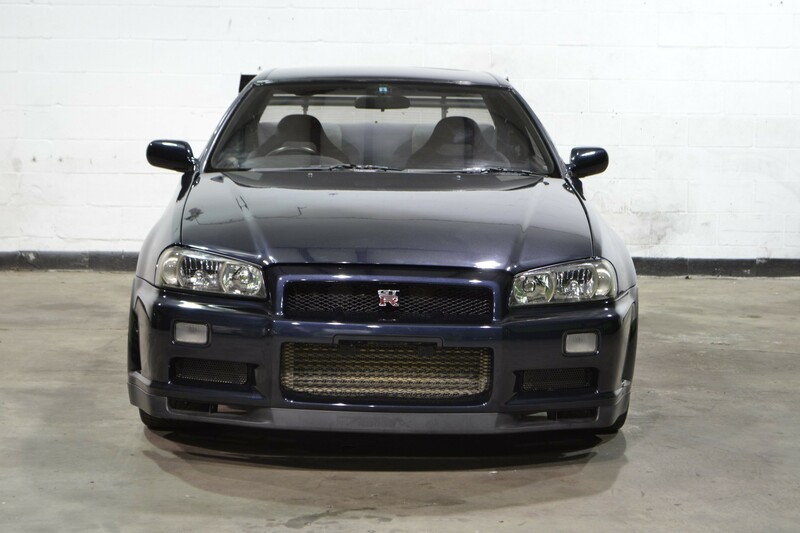 Want the R34 look, but the legality of an R32? 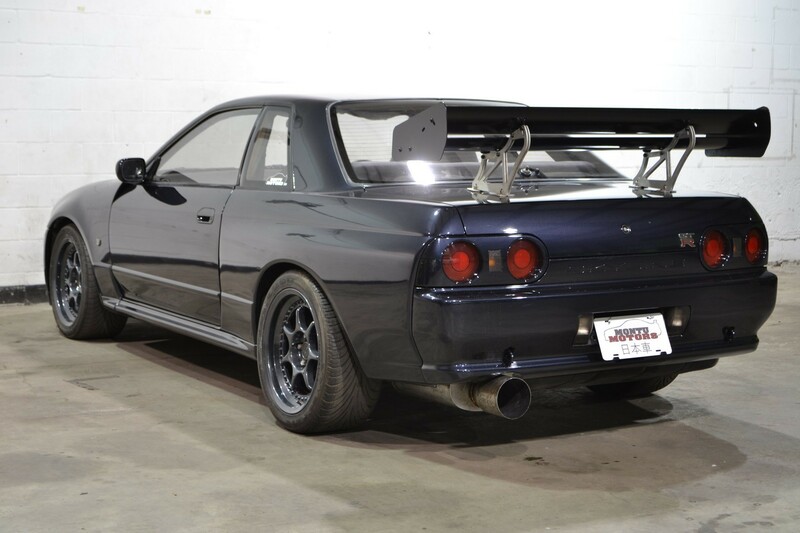 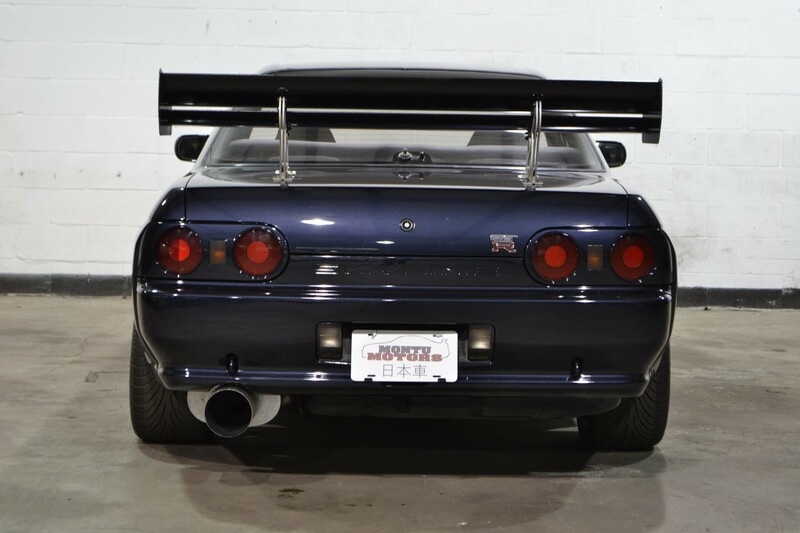 This R324 GTR has the full front-end conversion, complete with fenders, bumper, headlights, and hood. 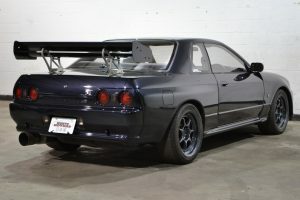 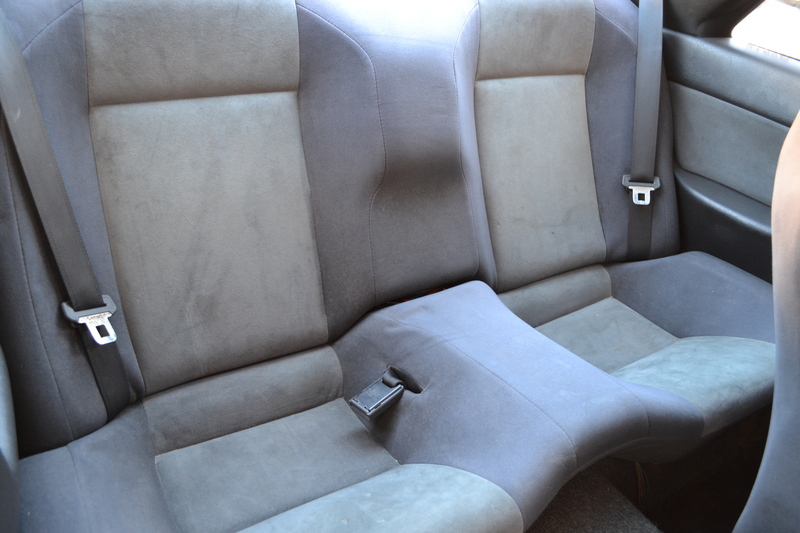 All of the parts are OEM Nissan as well, so they’re far less fragile than aftermarket fiberglass pieces. 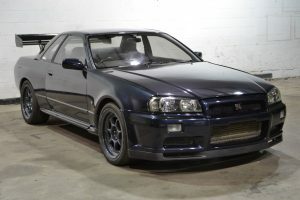 The car was painted in a midnight purple-style paint, and looks awesome in the direct sunlight. Powder coated grey wheels offer a good contrast to the paint, as well as a tall wing to compliment the front end. 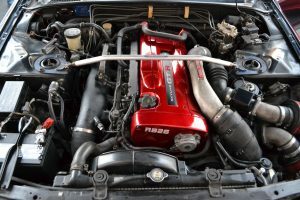 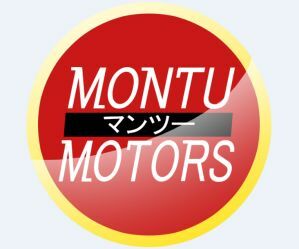 Motor even follows the flow of the R34 with a beautiful cherry red powder coat finish and cover plate, with the “RB26” brushed so it really pops with the hood open. Interior-wise the car has an excellent Momo steering wheel, and fresh Nismo floor mats. 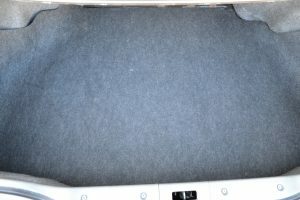 Double-DIN head unit was converted to work with US frequencies. Overall this car is very stunning to look at, and will surely steal the show at a local car meets. 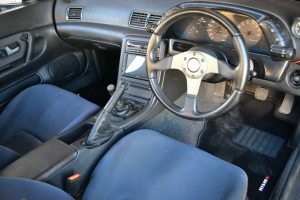 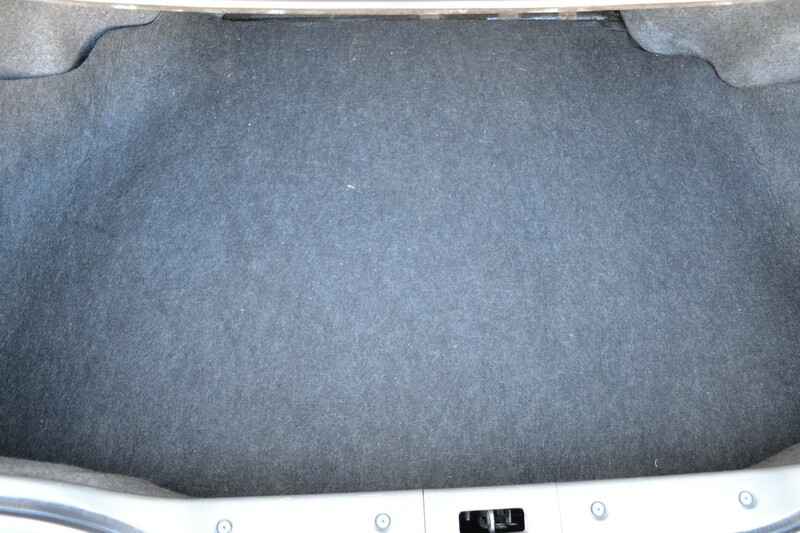 Mechanically, the car is an excellent driver, and doesn’t feel like it has the mileage the dash shows.